Courses provide a simple and direct way for you to stay up to date with changes and updates in your business via Zunos. A course will direct you to read the required material, and complete the appropriate quiz to ensure you're up to speed. 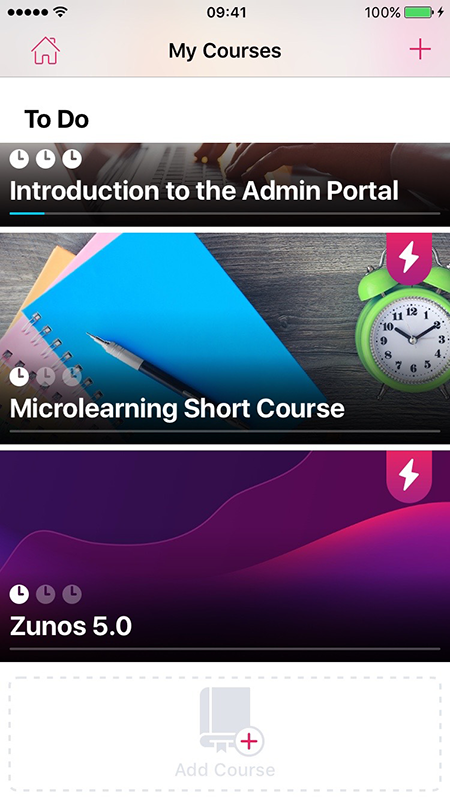 Here is how you would add a course to your to-do list and complete courses in Zunos. If your courses have been defined for you they will appear in the list. If there are no courses, you can search through the list of courses added by your administrator in the app. If a course takes your interest, select Add Course. 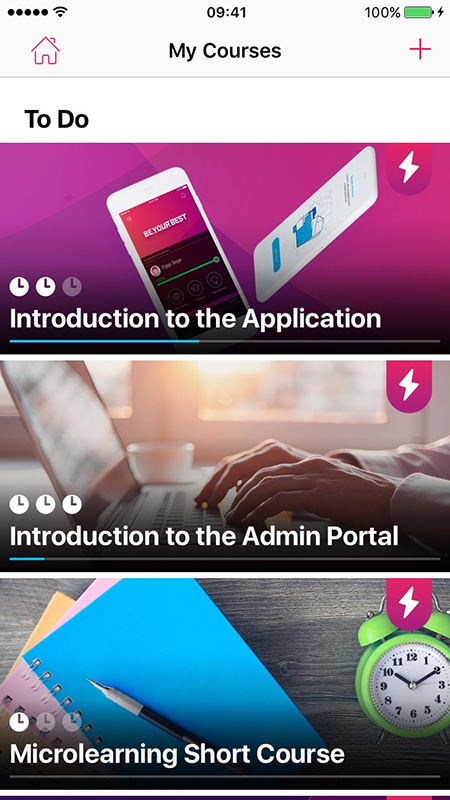 Tap a course to find out more information about the course and then tap + Add Course to add the course to your courses to do list. Course Length: signified by the number of clock symbols, either Short Medium or Long. Course Progress: signified by the blue progress bar that appears below the Course name. 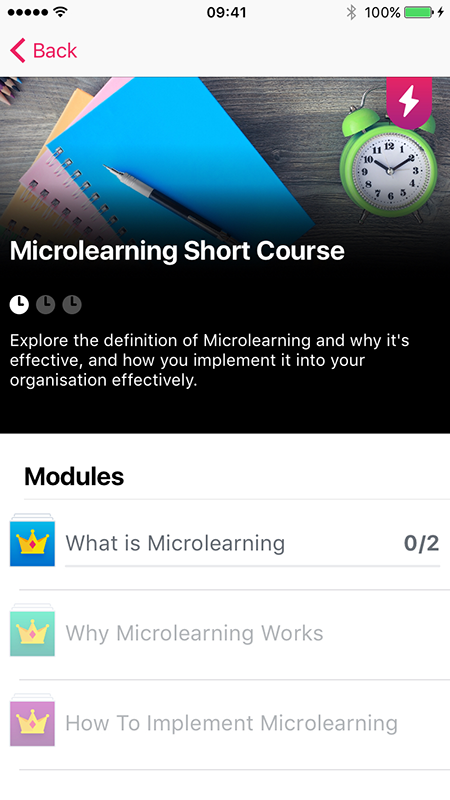 To begin taking a course, Tap on the course from your My Courses to do list. The course modules will be listed which may either be all available immediately, or only the first module may be available. Tap on the first Module to begin the course. Each module can consist of a variety of media and quiz items. The content and quizzes could be immediately available or may need to be unlocked in a specific order. Tap on the first item in the module to view the material. If the content is greyed out, this means you must view the content above in order to unlock the next item below in the list. As items are completed the module progress will be visible by way of a blue progress bar below the Module name. Once you have completed all the task within the module, you will have a complete progress bar and the next module will become unlocked. Note: If modules are configured to be completed in order, you will need to complete the first available module which will unlock the next module and so on.